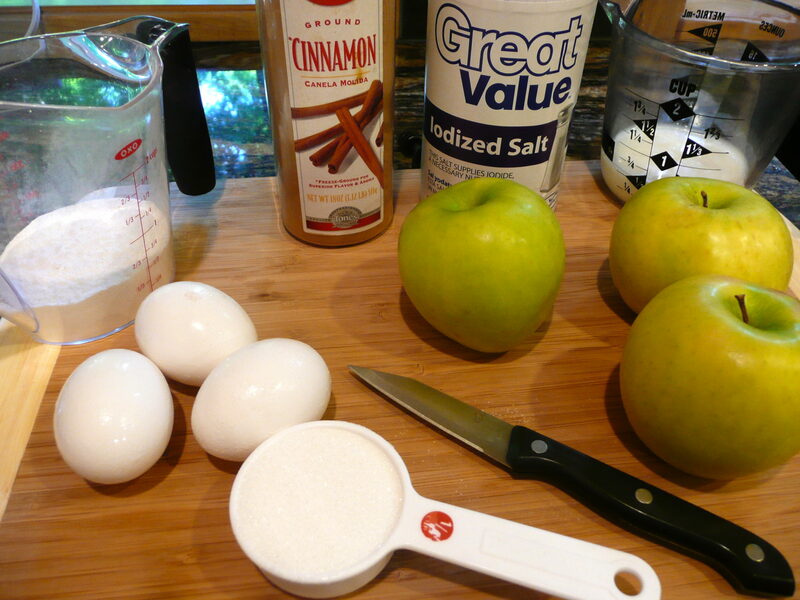 With four Granny Smith apples sitting around, I just had to make apple pancakes — but not ordinary ones. 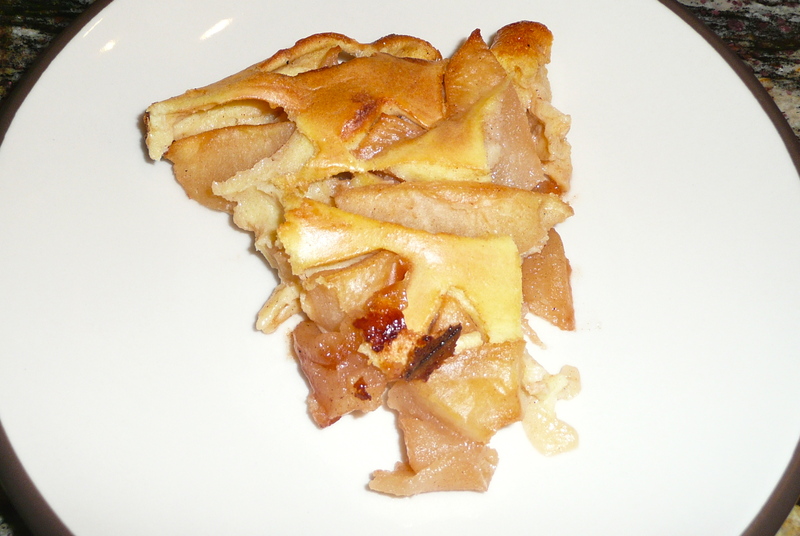 This is one large baked pancake and is cut into pie-like pieces. It is not too sweet and does not need syrup as it is delicious eaten alone. Melt butter over medium-high heat in an ovenproof 10-inch skillet. 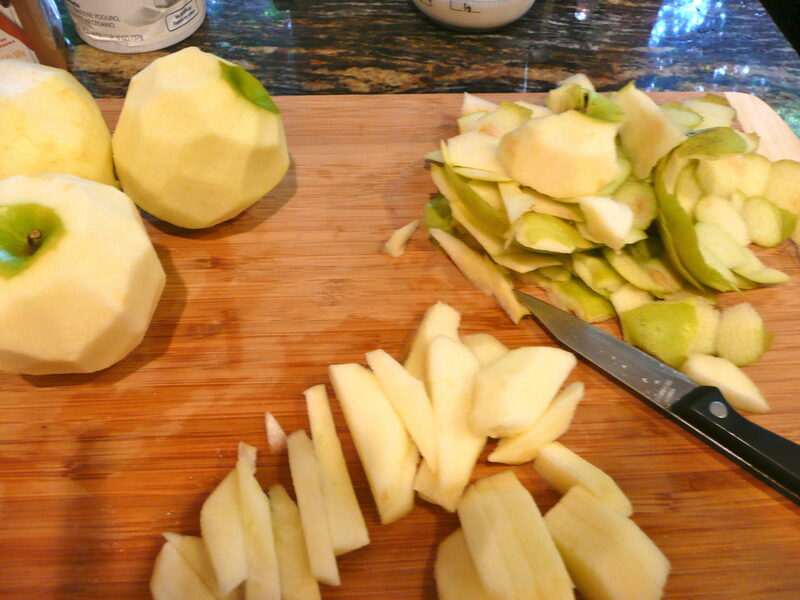 Add apples, granulated sugar, cinnamon and cook, stirring occasionally, until the apples begin to brown and most of the juices have evaporated, 7 minutes or so. Remove skillet from heat. 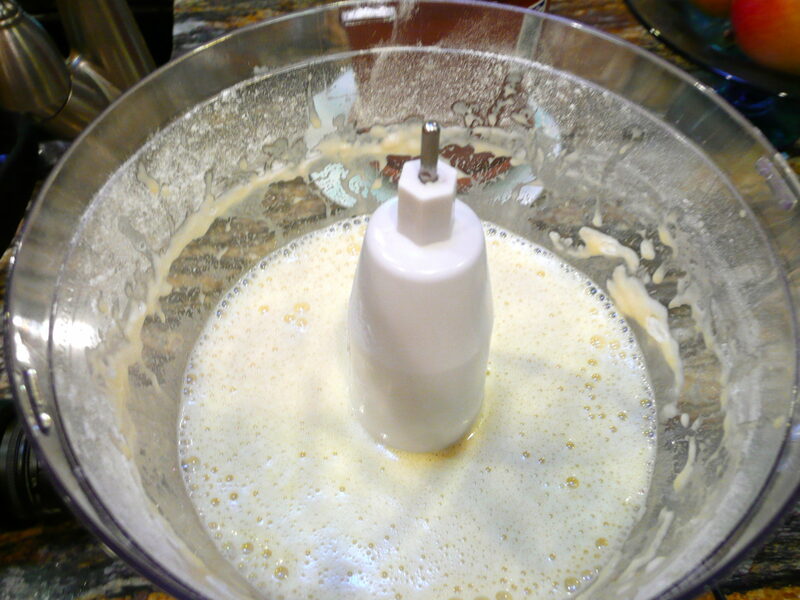 Combine eggs, milk, flour, and salt in a food processor or you can use an electric mixer or hand whisk it until smooth. 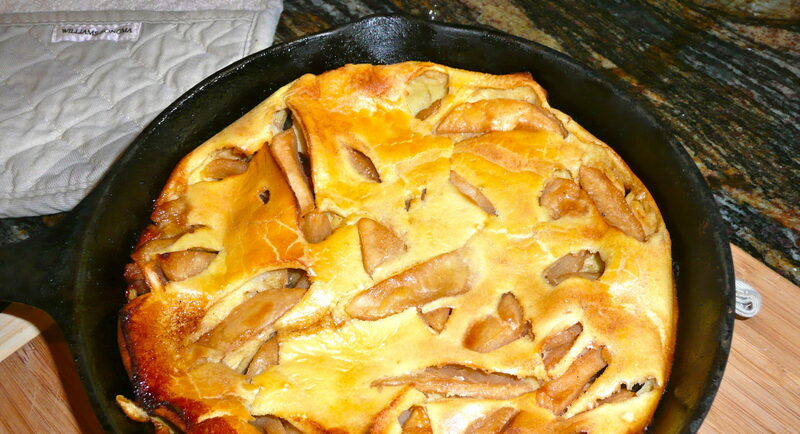 Spread the browned apples evenly across the bottom of the pan. Place the skillet in the oven and bake until the pancake is golden and puffed, 18 to 20 minutes (depending on your oven). At around 15 minutes, check your oven as you don’t want to over-bake your pancake. 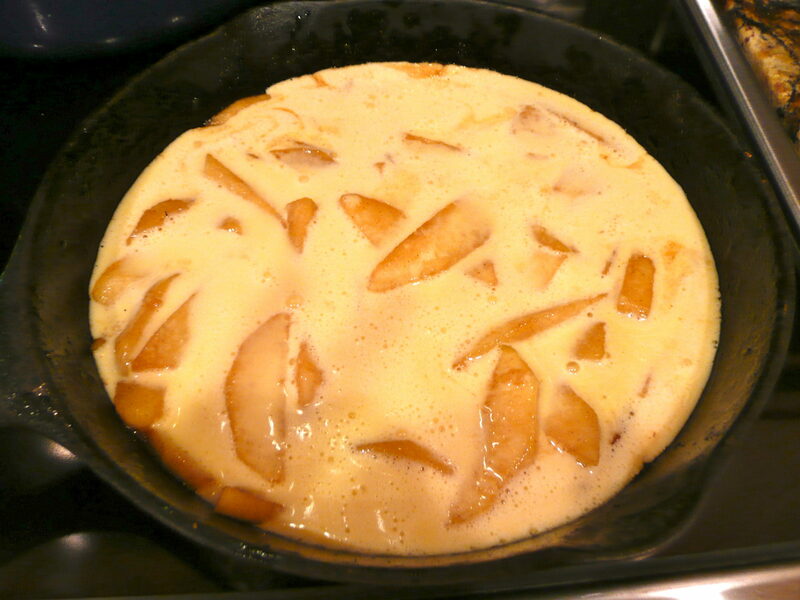 Remove the pan from the oven and let the pancake rest in the pan for 5 minutes. Cut into wedges, and serve immediately. Hmmm .. I think I’ll make it for our family reunion in August.